Command Centres across the globe rely on computer aided dispatch (CAD) technology to manage police vehicles and officers. Over the years, CAD technology has become cumbersome and difficult to adapt to meet changing requirements. 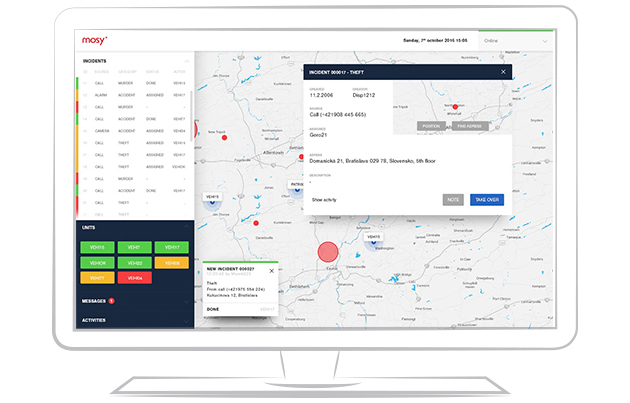 MOSY offers a powerful, easy-to-implement and modular public safety/police CAD system that supports collaboration with police officers in the field. Aside from supporting officers, it also provides real-time updates, data, statistics and reporting to help with investigations.